Happy Cube Puzzle Family Mini-Combidisplay - includes 12 foam puzzle cubes, flat packed in their frame. 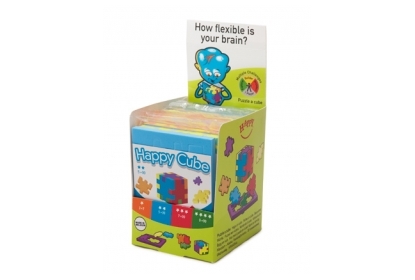 This Happy Cube Puzzle Family Mini-Combidisplay holds 12 foam puzzle cubes, flat packed in their frame and flowpacked with an instruction card. Three puzzlemodels of each version of the Happy Cube Puzzle Family are included.